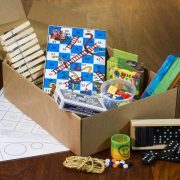 This box is filled with games and activities to encourage learning. It contains a manual filled with ideas for developing language. 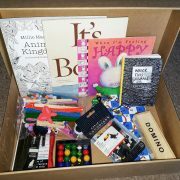 This box has been put together to explore and develop language. 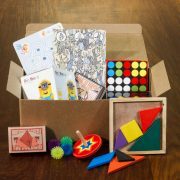 The box is filled with tools to encourage verbal language, while learning the basics of written language. 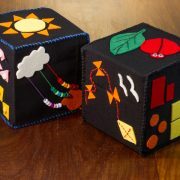 All the materials can be used in various ways; using materials in different ways will encourage and develop creativity. A ‘Busy Box’, it contains some great activities and ideas for games. It also has a couple of craft ideas. 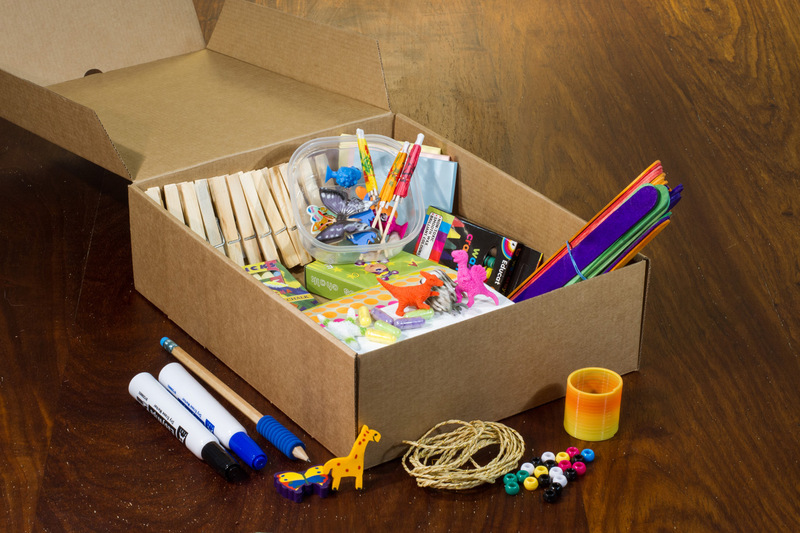 All activities and crafts need to be guided and supervised by an adult or responsible person. It is advised that the instructions are read before any activities are attempted. Remember to HAVE FUN! Children learn through EVERYTHING that they do. 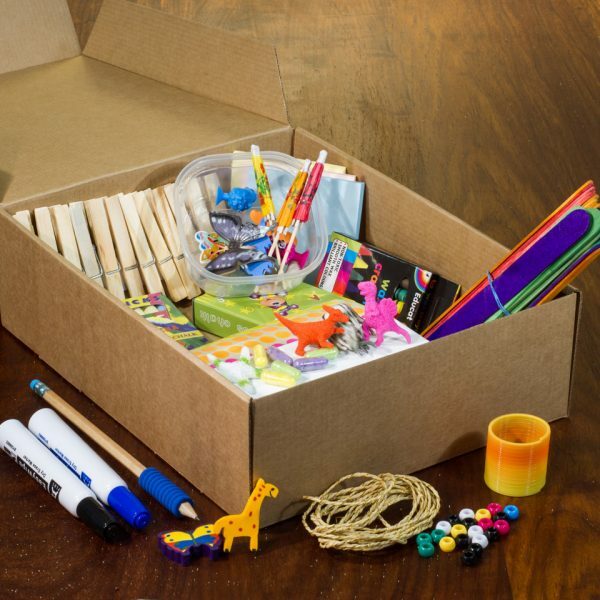 Use the box as a tool to engage in activities and learn through play, discovery and adventure. 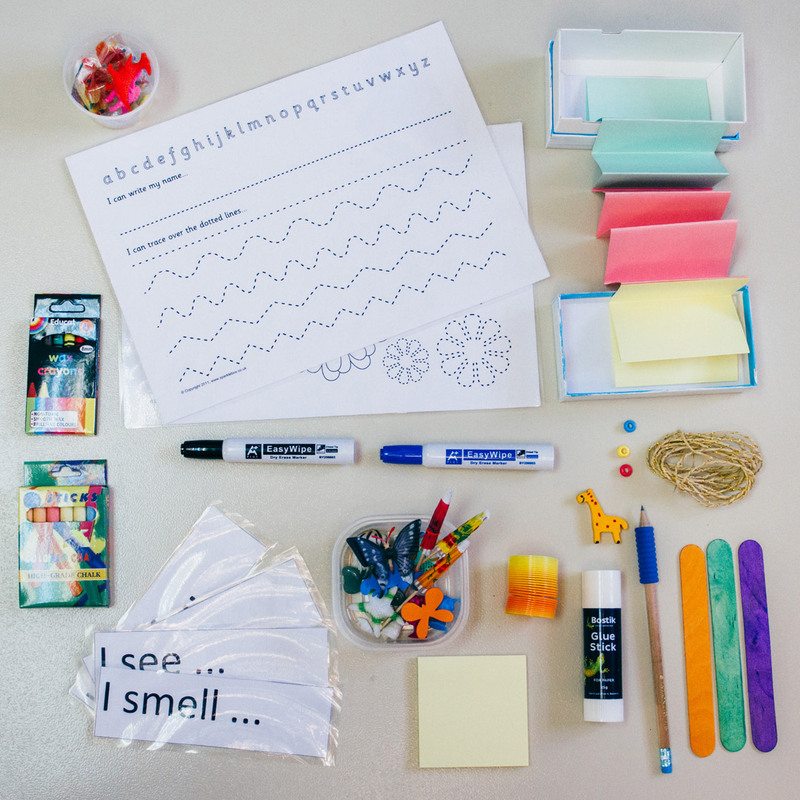 The ideas, activities and tools should be used as guidelines: creativity is the main goal. Adjust some games, and make them your own. It is essential that this should be a catalyst to fun.